There are numerous ways to implement code as there are proficient developers to implement it, which is one of the aspects that make software development a fun profession. This also means that there are many opinions about what makes a high-quality, virtuous software. What one developer values in regards of code quality can be poles apart than what other developers’ value? A simple instance of this is a method written very efficiently, using a crisp syntax and a code in the minimum possible lines. While a code can be processed as high quality by one developer, it may be seen as concise and obscure by another, who prefers having a code laid in a more long winded yet easy structure. This is why it is sensible to think about code in terms of the qualities, than trying a single definition of code quality. We can have a conversation about which qualities of code optimizations for a given situation only after recognizing, measuring and analyzing the various qualities of the code. The foremost measure of quality to consider is if the code meets the requirements that initiated it to be written. The code needs to be articulated in the eyes of a developer; the one failing to accomplish the anticipated outcomes can be said to have low quality. The resulting software should not just realize the basic measure of fitness, but should also meet the needs of the customers. The need to provide customer satisfaction is one reason that it is so hard to detach the quality of the end product from how it is created. A team that is closely associated with its customer and shows its work throughout the construction process is more likely to provide the customer with what it wants, than a team who holds on to show their work until all the structuring tasks are completed. No doubts, softwares can meet customer requirements and still have poor quality. Billions of dollars are made by selling poorly crafted softwares that meet the needs of the end users’. This demonstrates that satisfying the requirements of the customers may require higher code quality, but there is a lot more to the quality than this single aspect. Focusing on this minimum level of quality can cause problems as softwares need to change to meet the new requirements. Today, softwares grow when new customer requirements and desires are added and articulated into the code. Thus, the code must also reveal the quality of being easy to change. If the software is difficult to change, it is considered to be high in technical debt. A code with higher technical debt has a greater cost of ownership because the changes take longer to implement and the risk of introducing new bugs while adding new features is also quite high. A deficiency in a software context is a huge concept, because there are numerous aspects of a code that needs to be observed, measured, and assessed qualitatively. Freedom from deficiencies in the code refers to healthy performing, non-functional necessities like readability, extensibility, maintainability, and innumerable other aspects. Since there are so many qualities of a code to consider, it quickly becomes a matter of determining the aspects to be optimized, and the ones to be monitored in a hostile way. A code once written gets read repeatedly than it gets changed. In reality, reading a code in a given class is often done to gain relative insights into what another class is doing. The time a developer must spend to get sufficient context to make a change is an essential waste that can be referred to as time-to-context. Creating a maintainable code is done to reduce the time-to-context for the code reader. Aspects that assure reductions in time-to-context consists of a clean split-up of all the concerns, ensuring each class having simple designs and responsibilities. The code analysis tools can check for concerns like interoperability, performance, security, globalization, and must be a part of the software building process. Regular running of a code analysis tool and evaluating its output is an inordinate way to improve as a developer, for the things wedged by the software rules can obviously add to your knowledge. Measuring the code quality and maintaining it are two different aspects of software development. By focusing on these two aspects, any organization can develop reliable and robust software programs that streamline the work, thus improving productivity. 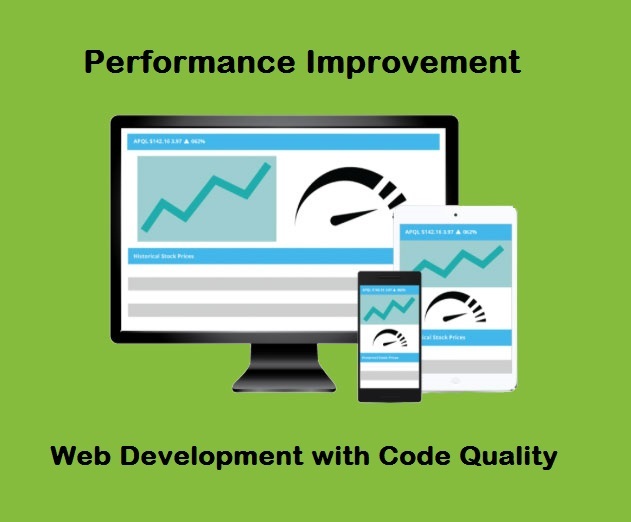 If a business is by some means unsure about how to measure, develop, and manage the code quality, then it is prudent to trust the industry experts and leading web application development service providers who can develop clean codes that are capable of boosting performance.